After being out of action for two years, Nate Diaz has the best chances of return at the co-main event of UFC 230 on November 3rd at Madison Square Garden in New York City. His potential rival is Dustin Poirier, a man who shocked the world by defeating Eddie Alvarez. An official UFC press conference is set for Friday, and it is about to see whether the fight will be officially slated. Nate Diaz (19-11 MMA, 14-9 UFC) has had his last victory versus Conor McGregor at UFC 196 and hasn’t fought since the defeat at UFC 202. There were also rumors of potential GSP fight at UFC 227, but that also fizzled. Nate Diaz didn’t fight in the Lightweight division since UFC On Fox 17 and the unanimous decision victory over Michael Johnson. Dustin Poirier (24-5, 1 NC MMA, 16-4-1 NC UFC) comes full of confidence after KO victory over Eddie Alvarez at the main event of UFC On Fox 30. He hasn’t been defeated for a very long period of time. The Diamond expects nothing less but a title shot. Poirier asked from UFC not to call him unless it is a title shot bout! Fight versus Diaz probably won’t be a title shot, but UFC could be ready to offer more money. Chris Weidman Vs Luke Rockhold has the highest chances of being the main event of the evening at UFC 230. 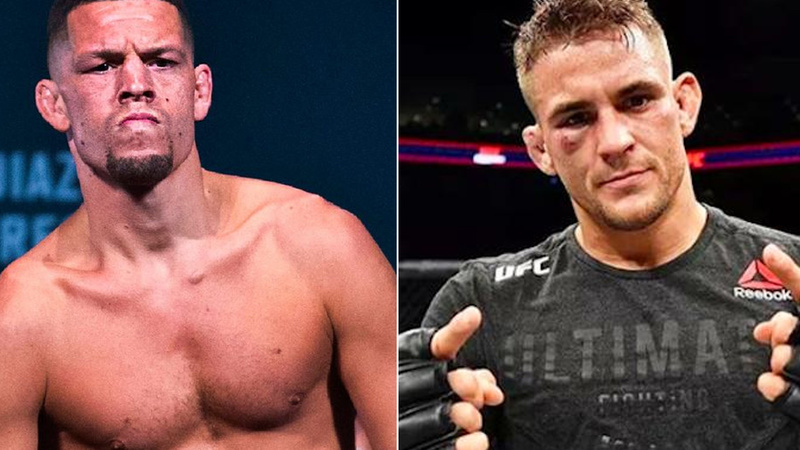 What do you think, can the fight between Nate Diaz and Dustin Poirier increase earnings? How many pay-per-view buys are you expecting?